Malcolm Danare is best recognized to genre fans as the bully Moochie Wells in John Carpenter’s horror classic, Christine. Malcolm is also known for his role of Caesar in the 1985 film Heaven Help Us and Dr. Mendel Craven in the 1998 film Godzilla and its animated series followup. He is also known for voicing Kipling in Monster High and voicing Tiny of Ever After High. Malcolm also co-starred in Columbia Picture’s “GODZILLA” and its animated series follow-up. Danare recently co-produced two films set to be released in 2016. “THE SUMMERLAND PROJECT.” A science fiction set in the future. Starring Ed Begley Jr., Kate Vernon and Eddie Jemison, and “THE TAKER,” a contemporary horror film.  Malcolm Danare will be appearing at Frightmare in the Falls both days.